Ubisoft announces the launch of Assassin’s Creed III Remastered on March 29, 2019. It will be available on Xbox One, PlayStation 4, and Windows PC. The remastered version of Assassin’s Creed III will be featuring a new graphics engine that will bring enhancements to the game including higher-resolution textures and support for 4K resolution and HDR. Assassin’s Creed III Remastered will also include improvements to the game’s ergonomics and gameplay mechanics. Watch comparison trailer below. Assassin's Creed III centres around Connor, a half-Mohawk, half-English Assassin, telling a story of a secret war during the American Revolution. 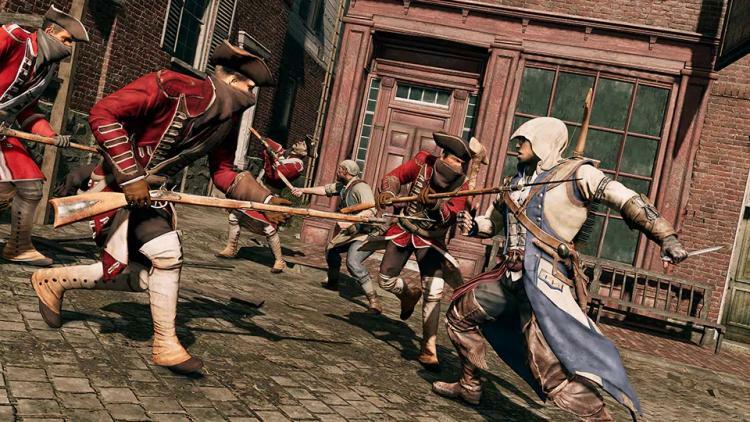 The game takes place in the 18th century in the streets of Boston, New York when Connor builds a new Assassins Brotherhood to fight against the Templars. Assassin's Creed III Remastered will include the full game along with post-launch content which includes the Benedict Arnold and Hidden Secrets missions, and the Tyranny of King Washington story arc that lets players explore an alternate reality where George Washington seizes ultimate power. The Assassin's Creed III Liberation Remastered will also be included which is an improved version of Aveline de Grandpre's battle for freedom in 18th-century New Orleans. Assassin's Creed III Remastered will be launched this March 29, 2019, for Xbox One, PS4, and PC, now available for pre-order. Season Pass holders of Assassin’s Creed Odyssey may download Assassin's Creed III Remastered for free. Learn more about the latest coverage in Assassin’s Creed series here.